Flying in a 720 km orbit, Proba-2 is the second in ESA's Project for Onboard Autonomy series, capable of flying itself with minimal support from the ground. Its purpose is flight-test new technologies and it carries a total of 17 technology payloads. It also carries four scientific instruments focused on the Sun and space weather. Packed with novel devices and science instruments, Proba-2 is demonstrating technologies for future ESA missions while providing new views of our Sun. At a press conference on Tuesday at the Royal Observatory of Belgium in Brussels, the team behind the small satellite declared themselves extremely happy with its first three months in orbit and unveiled Proba-2's first solar observations. Since its launch on 2 November, Proba-2's numerous subsystems have been switched on one by one and their outputs checked. This commissioning process is essential before the mission's working life can begin. Mission contributions have come from across Europe and Canada, with Belgium as a major participant. It was constructed for ESA by Belgian firm Verhaert Space, part of the QinetiQ group, and the mission is run from ESA's Redu ground station in Belgium. Proba-2 is the latest in ESA's 'Project for Onboard Autonomy' series and its commissioning is proceeding with a comparatively modest level of ground personnel. "The satellite is sufficiently advanced to oversee itself on a day-to-day basis," said Frank Preud'homme of Verhaert Space. The smooth operation of this small satellite - less than a cubic metre - is a stepping stone to ESA missions in the decade ahead. A total of 17 new technologies are being demonstrated aboard Proba-2 before being adopted by full-sized spacecraft, including a new startracker for the BepiColombo Mercury craft and a wide-angle camera for ExoMars and potentially the asteroid-explorer Marco Polo. "The majority of technology demonstrators on Proba-2 have now been activated and I am happy to see that the first data we receive are very good," commented ESA's Director of Technical and Quality Management, Michel Courtois. "Proba-2 has shown that it can demonstrate technology in orbit." The satellite runs itself using an advanced computer built by Verhaert Space and running on the ESA-designed LEON2-FT microprocessor. "Proba-2's computer is the most powerful computer for space applications developed in Europe," added Mr Preud'homme. "It has been selected for a number of new ESA missions." The satellite will do double duty as a technology testbed and science platform. In addition to its experimental payloads, Proba-2 is hosting a quartet of new instruments focused on the Sun and space weather. "In science terms, Proba-2 is a solar observatory," said David Southwood, ESA Director of Science and Robotic Exploration. "Its instruments are evolved from those on SOHO, the ESA/NASA full-sized watchdog for solar storms, and are testing detector and software technology required for Solar Orbiter, envisaged as Europe's next big solar mission." 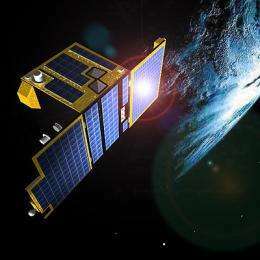 The Royal Observatory of Belgium (ROB) has the scientific responsibility for Proba-2's two solar monitoring instruments. ROB's David Berghmans described the Sun-imaging SWAP (Sun Watcher using APS detectors and imaging processing) instrument as an exercise in miniaturisation: "It is a full space telescope the size of a wide shoe box. Despite its size, SWAP is very ambitious, designed as a full 'space weather' instrument to detect all significant solar events such as solar flares or coronal mass ejections." Another ROB team led by Jean-Francois Hochedez oversees the LYRA (Lyman alpha radiometer) instrument which employs robust ultraviolet detectors - some made of diamond - to measure solar radiation. "Proba-2 again proves the reliability of Belgian space technology and the Proba satellite platform," said Belgian Science Minister Sabine Laruelle. "Together with the scientists of Brussels' 'Space Pole', I eagerly await the first observations by the state-of-the-art instruments SWAP and LYRA, both made with substantial Belgian contributions." 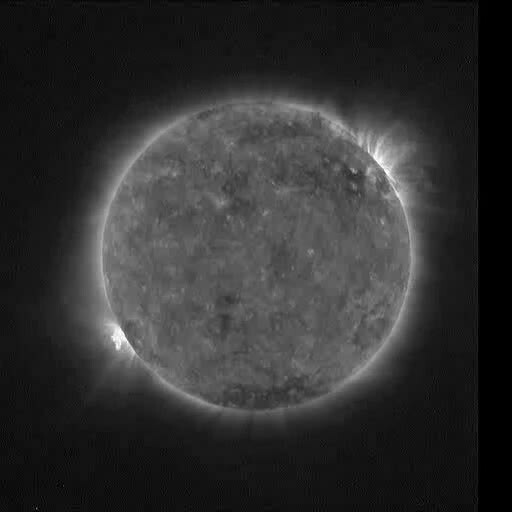 Increasing Proba-2's value in studying space weather - which can damage satellites, harm unprotected astronauts and affect ground-based electrical infrastructure - the satellite combines solar observation with plasma content monitoring of the space around it, revealing how the Sun's activity can influence Earth's ionosphere. Proba-2 does so through two instruments developed by a consortium of Czech institutions led by the Czech Republic's Academy of Sciences with considerable support from the Czech Space Research Centre. Both the Dual Segmented Langmuir Probe (DSLP)and the Thermal Plasma Measurement Unit (TPMU) will probe in detail the satellite's nearby surroundings. "Our aim is to identify observed ionospheric irregularities with possible solar-terrestrial connections due to sudden space weather events," said Štepán Štverák of the Czech Institute of Atmospheric Physics, part of the DSLP team. "Preliminary results are very promising." Proba-1, launched in October 2001, established the principle of small satellites for technology demonstrations. It included Earth-monitoring instruments which proved so successful that the still-operating mission was subsequently transferred to ESA's Earth Observation Directorate. Providing frequent, low-cost flight testing opportunities for European industry as part of the Agency's General Support Technology Programme (GSTP), the Proba series is set to continue. Proba-3 will be a double spacecraft to study the solar corona while testing precision formation-flying techniques. Proba-V will house a miniaturised version of the Vegetation sensor currently flying on France's mainstream SPOT-5 satellite.